There are five people in our family. Two of us that can drive, two that are currently learning to drive (pray for us) and one who is waiting, desperately, to get behind the wheel. As our children have grown they have moved from the back seat to the driver’s seat. In order to make that move they need to read, pass tests, and develop the necessary skills that will prepare them for a lifetime behind the wheel. Coincidentally, leaders must follow the same process in order to move from the back seat to the drivers' seat in life. As you read the following 7 skills see if you can view a few similarities between a new driver and the role of a new leader. All new drivers need to be trained in order to operate their vehicle safely and not bump or crash into those around them. Reading and following certain certain laws and guidelines help each driver navigate their car in a respectful and responsible way. When you are in the driver's seat you can't text, play a game or sleep. You must be aware of who and what is around you at all times. You must not only be aware of what you are doing but aware of what the person in the lane next to you is doing. Driving requires hyper focus and awareness. Vision to see what's a head is critical for a new driver. Most young drivers don’t look far enough down the road but rather focus on the vehicle immediately in front of them. New drivers need to be taught to “aim high” in their steering. They need to look beyond the immediate to see the bigger picture. They need vision to see what's further down the road. Reading the traffic flow and traffic lights in front of them will help everyone in the driver's seat to be successful. When you are in the driver's seat you are responsible for your vehicle and everyone in it. Knowing how to fuel your car, change a flat or deal with an accident are important for each driver to understand. Likewise, when you sit in the driver’s seat you are responsible for the health and well being of everyone who is on the journey with you. Understanding these roles and responsibilities help new drivers become better drivers. There is no substitute for hours behind the wheel. The more hours you accumulate, the more situations you experience, the more wisdom you gain. Experience alone does not make a new driver better. 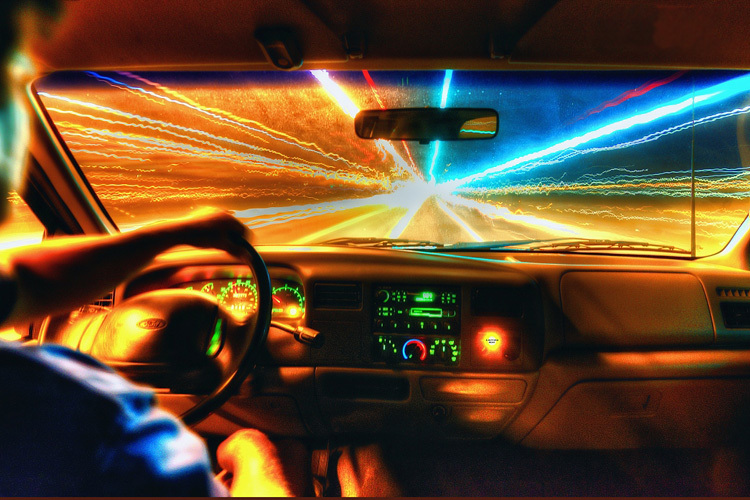 Experience, if processed in the right way, will help the new driver become more wise and discerning with the decisions they make while behind the wheel. As you spend more time in the driver's seat your skills become more focused, more in tune. They become second nature. You can tell an experienced driver from a novice. A 16 year old driver will often drive with tighter hands around the wheel but over time the hands loosen as confidence builds. After hundreds of hours behind the wheel there is a maturity that comes with being in that front seat. Giving others the right of way, letting someone cut in front of you at an intersection or stopping to help someone who has broke down are all signs of maturity in the driver's seat. How about you? Do you remember your first time behind the wheel? Your first time in the driver’s seat? Do you remember how nervous you were about how it would all unfold? Do you remember how excited you were? Do you remember the possibilities of your new found independence? The same is true for each new leader who get’s behind the wheel. Whether they are behind the wheel of a vehicle or a team there are feelings of fear, excitement, nervousness and possibility. Seasoned leaders, remember to help younger leaders learn each skill necessary to drive and lead in a healthy and responsible way. Young leaders. You don’t know it all. Listen to that leader next to you in the passenger seat. They are filled with wisdom and experience and probably know what it’s like to have a few flat tires or a fender bender along their journey. They are your mentor and guide to help you sit in that driver’s seat with confidence and steer carefully toward the future. What skill are you working on as a leader? I have been doing this for a long time and I keep coming back to number one, training. Remember, it’s what you learn after you know it all that counts.